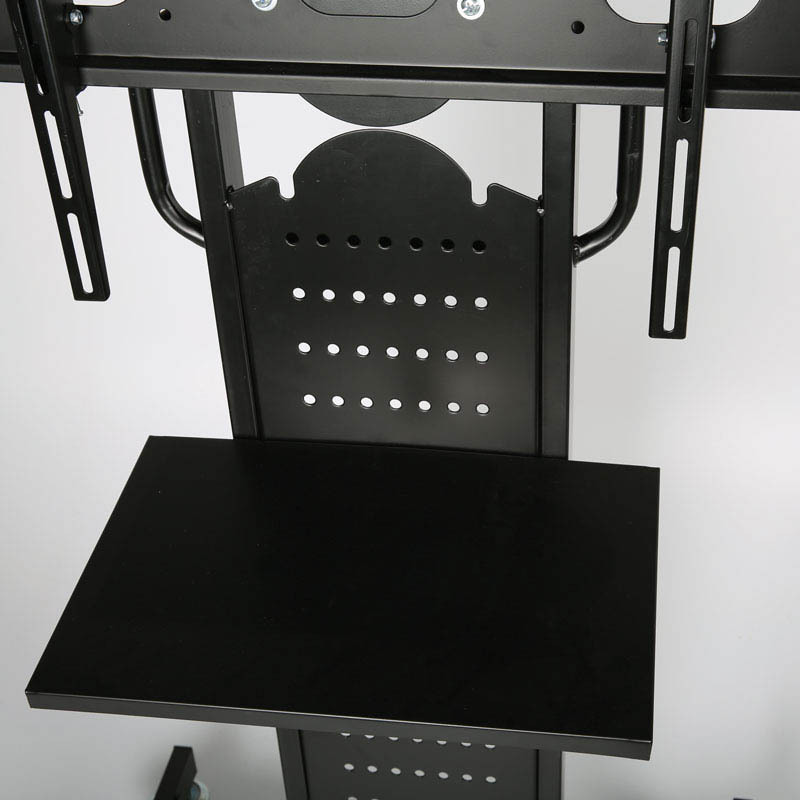 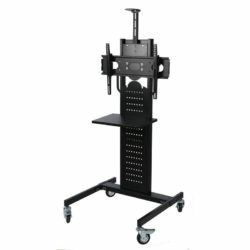 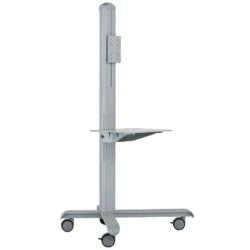 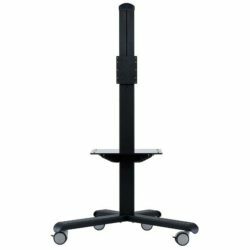 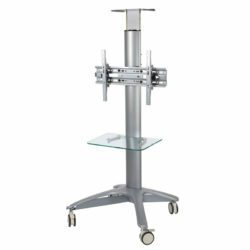 Black mobile TV stand is ideal for room-to-room transport with castered wheels. Provides comfortable use by adjusting the screen height. 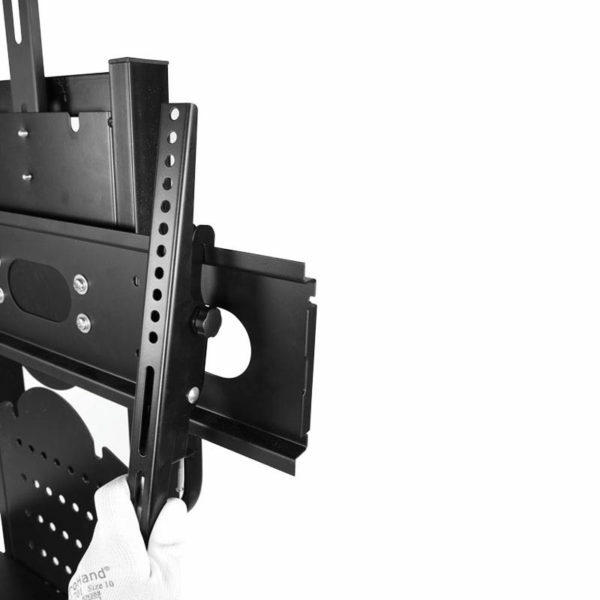 Ideal for screens 30″ to 63″. 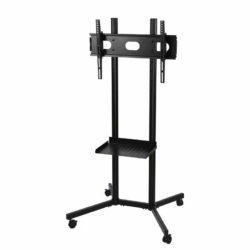 Max carry capacity is 132lbs. Hight is 4.92 feet.